As buyers gathered for the final day of inspections ahead of the Inglis Australian Easter sale, the NSW state government minister Niall Blair was among those viewing the horses on offer. 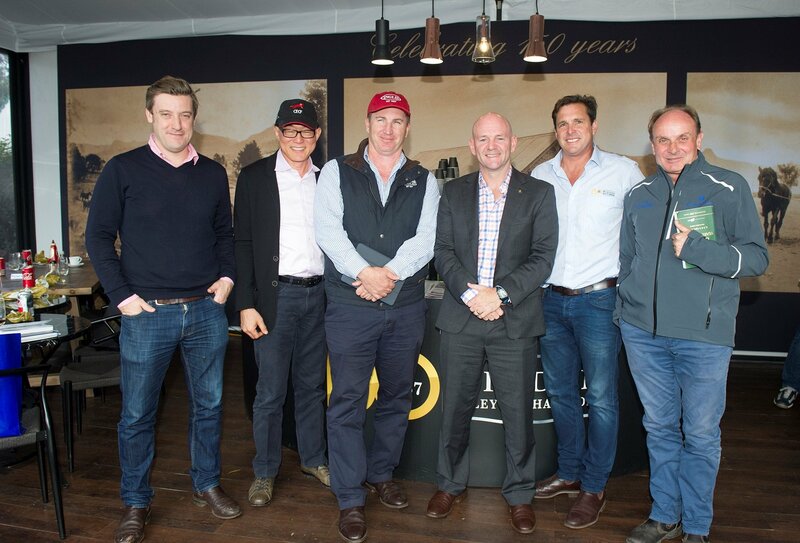 Mr Blair, who is minister for primary industries as well as trade and industry, was hosted by Aushorse and Thoroughbred Breeders Australia (TBA) during his visit to the Newmarket sale complex. “It’s great to see a minister take a real interest in what’s going on here and understand the importance of the thoroughbred industry to the NSW and national economy,” said Aushorse and TBA chief executive Tom Reilly. After inspecting yearlings Mr Blair sat down for lunch in the Widden marquee with Antony Thomspon, Teo Ah Khing of China Horse Club, Godolphin’s Henry Plumptre Tom Reilly, Bruce Neil, owner of Cressfield Stud, Inglis boss Mark Webster, Arthur Mitchell of Yarraman Park Stud and Coolmore’s Tom Magnier. The lunch provided an opportunity to discuss the key issues for the breeding industry, from coal mining in the Hunter to trade opportunities overseas. Mr Blair said the thoroughbred industry made a valuable contribution to the state economy. While the visit provided the National Party member with a meeting with some of the leading players in the industry, Mr Blair is more than familiar with thoroughbreds through a strong family connection and a love of horses. With up to half of the buyers at the Easter sale coming from overseas, Mr Blair also noted the growing importance of foreign investment to the growth of the Australian thoroughbred industry. “These are valuable dollars that could be spent in many other countries, and it’s a testament to the quality of our local horse breeders and their staff, that foreign buyers target our yearlings,” he said. Antony Thompson, chairman of Aushorse, was thrilled to see a senior member of the government visit the sale. “It should reassure all breeders that there is a senior minister who understands the horse business and is interested in supporting our industry,” he said.